By Dorothy Scanlan Stevens, Summit Settlement Services Inc.
After the long, hard fight of proving the merits of a bodily injury case, the plaintiff is often left with a big pile of cash and little idea of how to invest it. The plaintiff often does not have the insight to manage this money that is intended to take care of his medical needs over his full life span. Nobody wants the plaintiff to run out of money before he runs out of life. The optimal solution to the risky proposition is to structure his settlement to provide tax-free payments to meet his financial needs forever. Don't let your injured victim become another statistic. * within 5 years, 90 percent have nothing left. 1. Tax advantages and guaranteed rate of return were the most-cited reasons for selecting a structure over cash settlement. 2. Plaintiff attorneys are the primary information source regarding settlement options and are the most influential in the plaintiff's decision to structure. 3. Plaintiffs who cited "financial independence" and/or "having to pay off a large debt" were the most likely to have remorse over their decision, and later regretted not having taken at least some of their money in a structure. 4. Primary reasons for taking a structure: more tax advantageous over a lump sum; and, has a guaranteed rate of return. 5. More than one-third of plaintiffs that accepted an all-cash settlement stated that they had less money remaining than expected 5-10 years post-settlement. 6. Some plaintiffs view lump-sum cash settlements as the default option because they are not made aware of other payment choices. While the plaintiff is busy transitioning from his old life to his new one, which includes living with a disability, the last thing he needs is to deal with the stress of money management. He cannot lose money from catastrophic financial events like the dot-com busts of 2000, the effects of a post 9/11 world, the 2008-09 financial crisis, Ponzi schemes by the likes of Allen Stanford and Bernie Madoff. He's got enough to deal with as he copes with his own injuries and losses, recent settlement, and adjusts to his "new normal." Protect the injury victim from becoming a victim of friends, family and predators who want to separate him from his newfound settlement recovery. The structured settlement industry continues to thrive, even in this low interest rate environment. Over $6 billion are invested into structured annuities each year. Plaintiffs are seeking the safety and security of receiving tax-free annuity payments from the largest, highest rated insurers in our nation. 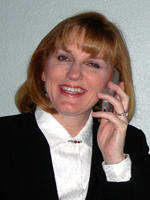 About the author: Dorothy Scanlan Stevens is a structured settlement broker and president of Summit Settlement Services, Inc., a California corporation. For more than 32 years, Scanlan Stevens has worked with California attorneys to design and implement structured settlement annuities for individuals who have suffered personal physical injuries. Scanlan Stevens meets clients, attends mediations, performs medical underwriting, assesses life care plans and creates a periodic payment schedule to meet their future financial needs. Annuity payments can be made to a Special Needs Trust to separate the plaintiff from his settlement in a way to protect his eligibility to entitlement programs such as Social Security and MediCal. Scanlan Stevens is committed to providing trustworthy, well informed, professional services to your client, ensuring that he receives the well-earned financial justice he deserves.